When you apply for a credit card, the interest rate may be one factor that influences your decision on which one to get. Interest rates can vary and often add a lot to the payment amount you must make, so it is a sensible decision to factor it in when selecting a credit card. However, a lot of people don’t know as much about credit card interest as they should. 1 What is credit card interest? 2 How are interest rates determined? 3 Why do interest rates change? 5 What’s a credit card grace period? A credit card is basically a loan. The company pays your bill whenever you use your card to make a purchase with the idea that you will pay them back in the future. They charge interest to cover the risk they take by loaning you that money, which helps protect them in case you default in the future. 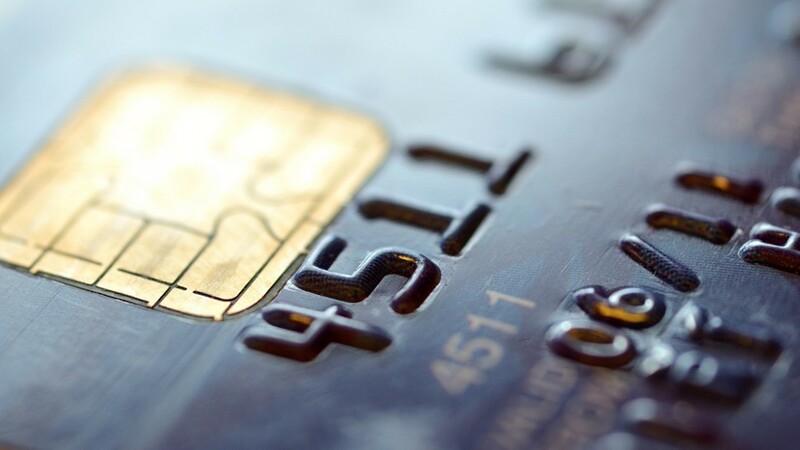 Interest rates often differ between credit card companies. If you apply for multiple cards, you’ll probably see a range of rates. While they may be similar, there is often a difference based on several factors. Credit cards are regulated, so companies can’t charge any interest rate they want. They also can’t switch up their rates whenever they feel like it. However, they can set rates and change them based on specific criteria. Regulations require card companies to keep the same interest rate for 12 months for new customers as long as the customer maintains the account responsibly. A credit card company generally has a base rate, which is tied into the federal interest rate or prime rate. The card’s rate may be the prime rate plus 3% (or another figure) and is determined at the time you apply or are approved. If the card carries a variable rate, it will change every time the prime rate changes. If you receive a fixed rate, it will stay the same until you are given at least 45 days’ notice. See also: How Is Credit Card Interest Calculated? Your rate also depends on your credit profile. Most credit card interest rates are based on whether you have excellent, good, fair, or poor credit. They’re allowed to charge different rates because of the risk involved. For example, a creditor assumes that a person with a low credit rating is more likely to default on a credit card than someone with excellent credit. The company then charges a higher interest rate to cover that risk. At the same time, the credit card company can’t charge different rates to people with the same credit information. They must follow the regulations and their own policies for every person to avoid discrimination. The interest rate is also referred to as the annual percentage rate. The amount you must pay is calculated on the APR divided by 365 days in the year to give you a daily periodic rate. That number is then multiplied by the days in the billing period and the balance on your card to determine how much interest you pay each month. Some companies calculate the interest daily while others do it at the end of the billing period on the balance. Your interest rate will probably not stay the same for the entire time you have the card. With a variable interest account, it can change based directly on the prime rate. It can also change with a fixed rate if the prime rate changes enough. For this situation, the creditor must send you a letter informing you of the new interest rate ahead of time. If you make a late payment or your credit rating changes, your rate for that card could be impacted. The credit card company must inform you of any rate changes unless you have a variable rate. This information must be provided in writing to enable you to be aware of the added cost of using your credit card. You may also pay a different type of interest rate based on how you use your card. Pay attention to each of the rates when comparing cards. What’s a credit card grace period? When you use your credit card to make a purchase, you have a grace period in which to pay it back. During this time, no interest is charged. If you pay your balance, it is only the amount you borrowed for your purchase. Grace periods may vary by creditor, but it is usually less than 30 days, often 20 or 25 days. If you want to avoid paying interest on your credit cards, be sure to pay attention to your grace periods. Generally, if you pay the balance by the due date listed on the statement for the next bill, you won’t have to pay interest. You don’t want to assume that’s true of every purchase, however, so double check your card’s terms and conditions. Your credit card statement shows you the balance you owe and the minimum monthly payment. Many people are attracted to credit cards because of the low minimum payment required. What you may fail to realize is that the minimum payment includes the interest for the period and only a little bit of the balance. When you receive the following statement, you’ll notice the balance has only been reduced a small amount. This happens because the majority of the money went to pay the interest accrued. To make a larger reduction in your balance and cut down the accrued interest, you need to pay more than the minimum required amount each month. Some credit card companies show you the impact of only making the minimum payment on your monthly statement. You can also use an online calculator to see how long it will take to pay off a current balance. Some credit cards offer a promotional interest rate to gain new customers. They are advertised as zero percent APR for six months or a low interest rate for one year on balance transfers or new purchases. A balance transfer credit card allows you to move high-interest debt onto a credit card with a lower rate. They often offer 0% interest rates, sometimes for well over a year. During the promotional period, you usually still have to make a minimum monthly payment, but it will be less than what is needed to pay off the balance during that time. It’s important to know when this period ends because your interest may be charged retroactively. This means that for the unpaid balance, it could accrue interest from the beginning and be added at the end of the period. When comparing multiple credit cards, you should look beyond the introductory rate or even the APR. You’ll want to note any differences in the cash advance and penalty APRs even if you don’t plan to use them. Also, pay attention to whether you have a fixed or variable rate. With a variable rate, the rate you are offered that may seem so appealing isn’t likely to stay the same for as long as with a fixed rate. To qualify for the best interest rate, you’ll need to have good credit. Most credit cards that accept bad credit carry high interest rates. While you may want to apply for them to help improve your credit score, just know you won’t get the best rates. Once your credit score improves, you can apply for a new credit card with a better rate. The key is to show you are responsible with credit by making all your payments on time and paying down the balance as quickly as you can. You’ll also find that many credit cards which offer rewards carry a higher interest rate and an annual fee. This happens because of the cost of the rewards. If the rewards are valuable enough or you don’t usually carry a balance, it may not matter about the interest rate, but it’s still important to be aware. Credit card interest rates may seem complicated, but they are quite simple once you understand how they work. Regulations prevent banks from being unfair by requiring them to follow guidelines and rules when determining or changing interest rates. However, it is up to you to know the terms before you sign an agreement and receive your credit card. When it comes to credit card interest is to take the time to know what you are paying and why. Make sure you’re responsible with your credit cards and the way you use them so you’re not overburdened with high interest payments.